The pervasive drumbeat of Calls for Action in healthcare overwhelms me, excite me, bewilder me. I’m wired for action. I have to listen and consider or shut it out. I have no middle ground. There’s a limited amount of gas in my tank. I feel protective of my retirement dollars. And I still need to take out the garbage and do the laundry. Do I want to respond? Am I able to respond? What am I really responding to? How much is enough? Does it align with my mission? Will it be fun? On top of that, I am part of that percussion. I’m an action catalyst working with teams trying to build, sell, collaborate. So I’m fascinated with the dilemma of inviting people to participate and managing my own participation. So what’s the who, how, what, and why of joining and participating? How do people participate? They Lurk, Share, Opine, Build, Steer, Direct, Integrate, Use, Fund. What can people participate in? They can get involved in governance, design, operations, and learning. What’s that? Why do people participate? They’re uncomfortable about something, want to feel better, feel part of something, not feel alone, achieve something, survive, feel safe. Jeff MacDonald wrote this last month in Innate Motion about the Women’s March Movement. It’s about motivation and ease of participation. Seth Godin wrote about The Bingo Method for enlisting help. What exactly do you need help with? For those of you pounding the drums, influencing decision-makers, selling, building a movement, what works for you? 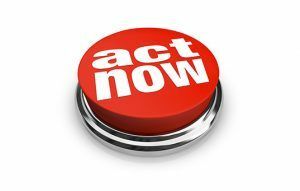 Let’s compile call for action success stories. Thanks for this one Danny–feeling so overwhelmed lately by too much going on in world, personal life, family and friend health scenes, PLUS now it’s spring and all I want to do is garden and play outside. Somehow the way you’re breaking all this down helps! Have a wonderful springy day! PS–like the new look of your page!